The OnePlus 5 is official, or at least the name is after the company announced it, but now more details are leaking. 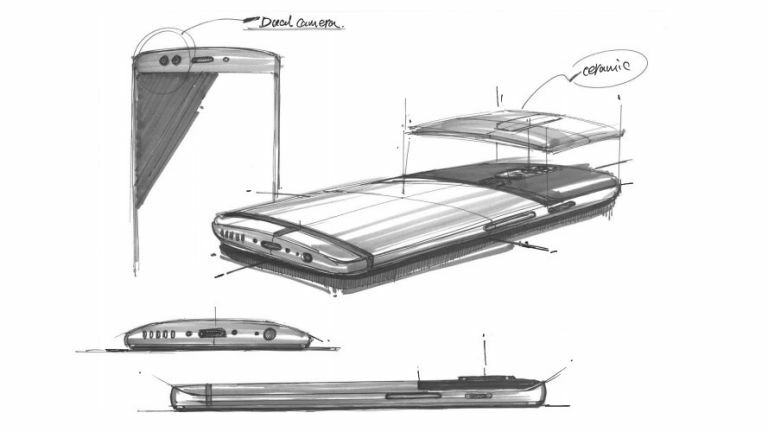 Sketches that appear to be from the design stages of the OnePlus 5 development have leaked on Chinese network Weibo. Of course, being sketches, these must be taken with a pinch of salt. But the timing, right next to the company’s official announcement of the handset’s name, seems convenient. The sketches show off a OnePlus 5 that not only has up and under dual rear cameras but also features side by side front-facing selfie cameras. This could really help to push the selfie snapping ability of the phone to a level that gives all the big name flagship handsets a run for their money. Especially if the OnePlus 5 follows tradition and is far more affordable. Other specs discernible from the images include a side button slider, 0.5mm thin build, USB-C, a drilled speaker, a 3.5mm headphone jack, curved rear, edge to edge display and ceramic build. Specs to leak from other sources so far include a QHD display, 8GB of RAM and a 3,600mAh battery. Expect to hear more soon ahead of the official OnePlus 5 launch. In the meantime check out what we know now at the link below.